When you are hired for a new job or project, a background check will generally be done for each one of you. Your would-be boss will certainly do it in depth. They will consider your previous performance, attitude and behaviour. However, have you ever realized that you need to perform a background check on your new boss as well albeit differently? This phase of trying to understand your new boss as much as possible will set the foundation for a successful professional relationship. Now, I am someone who does not believe in gender discrimination. Hence, the tips I am going to share does apply to any gender. You may have left your previous job or boss due to some reason. Sometimes, it could be for an opportunity outside for better career growth wherein you will be in good terms with your former boss or you may have switched jobs/boss due to a poor work environment. I would say it is better to start on a positive note and eventually build a strong professional relationship than lay a weak foundation comprising of mistrust. During the early days of my career, one of my trustworthy colleagues gave me a piece of advice which I value even today and will do so in future too. This made me wonder about the importance of stepping into a boss’s shoes and figuring out how our communication style could have an impact on them. I remember my previous bosses Bipin, Santosh and Rajeev. They were like pillars for the entire business unit. They had an explicit managing style. They valued each employee’s contribution and were highly empathetic. If, no! no! …. When you do get an opportunity to work under bosses who treat you with respect, consider yourself lucky! The working style of your new boss can have a huge impact on your own life – professional and personal as well. Why personal? Let me explain … Suppose your boss is a workaholic – to such an extent that his working hours extend beyond the stipulated hours on weekdays and even consumes several weekends. The reason why he/she is such a workaholic is immaterial. What’s important here is that you may be forcibly made to adapt to such a lifestyle which could possibly affect your work-life balance. This will eventually have a negative impact on your health. It’s important that your work doesn’t consume your meal time and necessary breaks during the weekends expect in absolutely unavoidable circumstances. Is He/She Just A Boss Or A Leader? “Boss” is just a position – a person who is in charge of an employee or organization. However, nobody likes to be at the receiving side of bossism which has a different meaning altogether. A leader doesn’t show any signs of bossism. However, they do get things done in an ethical manner. 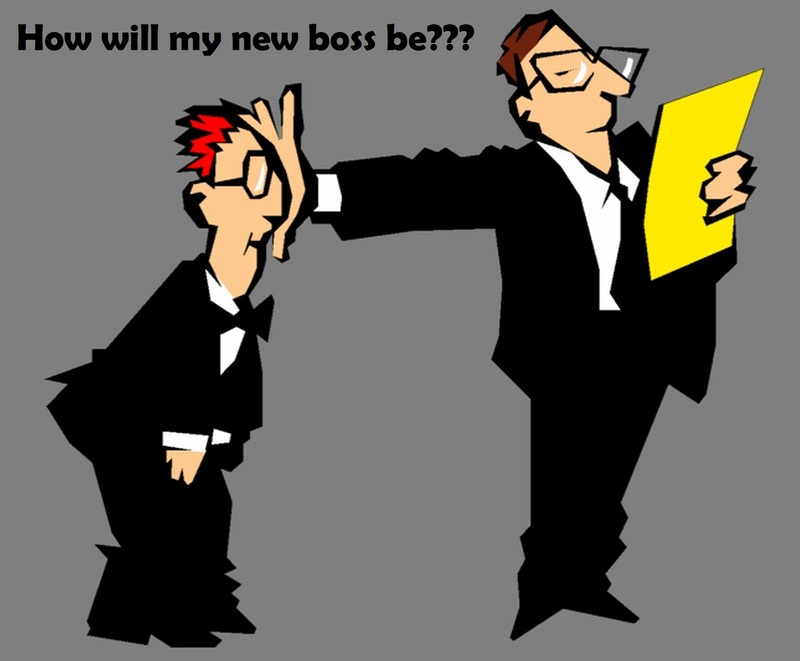 Is your new boss a leader too? Then, you are lucky as you will get to learn a lot from them. Try to inculcate their leadership traits in your own professional journey while adding your own unique edge to it. I happen to work with a leader, Satish and hence know what kind of a transformation it can bring in our work-lives. Each of us do spend a majority of our work life hours reporting to our respective bosses. It is important that we share a great rapport with them in this learning journey. Quite a lot of efforts will definitely be required from our side in understanding them and their working style. However, it’s worth it as it will act as a catalyst for productive days ahead.